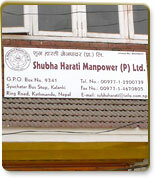 hubha Harati Manpower P.Ltd has always been providing services that are of excellent quality and it will continue in future as well. We are dedicated into supplying a wide variety of labor force with the appropriate skills, and delivering superior performance that can be accurately measured and assessed. We achieve this through our proprietary processes of selection and training. We are much more focused on providing quality services to corporate bodies and companies working with us. 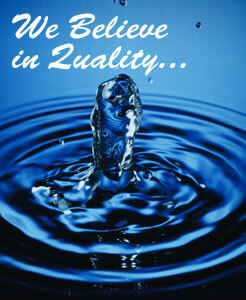 We believe that sense of quality has to be maintained even in the face of hindrances and troubles. That is why we have constantly upgraded our managerial skills and correspondence with our clients all over the world. To provide quality manpower (professional, skilled, semi-skilled and unskilled) from Nepal on time and with the correct feedback, we have proved out mettle time and time again with all of our clients. We allow our clients to place our manpower on a period of three months probation period to give our clients adequate time to evaluate them on site. Shubha Harati Manpower P.Ltd will take full responsibility for the repatriation of any Candidate selected by SHM deemed client not qualified or medically unfit, unless the client himself selected the Candidate..